Police in Washington said a McDonalds manager suffered severe burns on his face and neck when an angry customer threw hot coffee at them. The confrontation was punished in front of the camera. 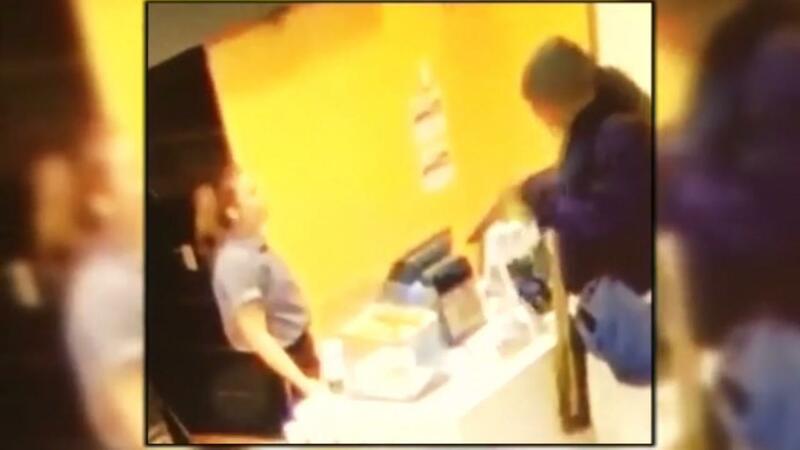 McDonald's surveillance video shows the man who asks the manager to refill over a cup of coffee – and she fills it. The police said the man had just filled his thermos with coffee he had just served. But seconds later, the man is extremely excited. KIRO-TV reported that the man told the McDonald's manager that he did not get his senior discount for the coffee. He showed her the receipt, splashing the hot coffee into the manager's face, running out the door. "Because he talked to her verbally about the price of coffee and the fact that he was just filling a thermos," Sgt. Said Dave Campbell. "She told him he had to go, that bothered him, so he took the hot cup of coffee that was just filled, and he threw it in her face." 70 degrees, causing severe burns to the side of her face and neck. Paramedics told the manager that they needed to be treated in a hospital. The police are still looking for the man they believe could be in the area.